Word Of Mouth (WOM) Marketing. Word of mouth (or WOM) has traditionally ranked as one of the top 3 to 4 sources of marketing success. When asked the question, “How did you find out about us?” or “Why did you try our product or service?” a common answer has always been: “I heard about you from a friend (or other family member or business colleague).” In the past five years the importance of WOM Marketing has grown geometrically. • Consumers and businesses are positively overwhelmed by the quantity of information available to assist in their decision making. • They don’t have time to research and sort through all of the information that is thrown at them. • Internet communication makes WOM influencers even more efficient and effective in their advisory roles. • WOM cuts through the clutter – saving time, saving money – by connecting prospects with someone whose opinion they trust, someone who can give them advice and counsel. Not surprisingly, in 2004 the Word of Mouth Marketing Association (WOMMA) was founded. By 2005 WOMMA has 152 members and counting - - representing some of the most successfully companies in America (Dell Computers was one of the early members). The heart of the WOM approach is to develop a full understanding of what is behind the prospect’s decision to purchase or try a product. 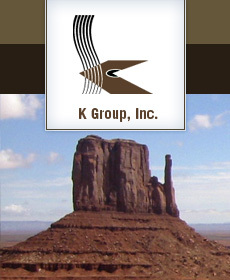 Understanding decision dynamics has been a hallmark of K Group’s consulting practice since the very beginning. WOM programs. Have a question? Little-used marketing tools become powerful weapons when included in a focused WOM Marketing Plan. Promises (that are fair, accurate and clear), guarantees (that are relevant), testimonials (from people the prospects know or trust), no-risk tests (that allow trial without a full commitment). These tools give us the WOM message and the method of delivery. Definition: The essence of WOM marketing is the delivery of a message regarding a specific product or service by a “trusted advisor” (a person with no commercial interest in your product) to another person or persons through conversation, one-way testimonial, email or some other method of communication. • And most importantly, is self-generating! The phrase “recommended by” becomes an attribute of the product and services that benefit from good WOM campaigns. Most marketers take word of mouth for granted, spending massive amounts of marketing dollars on advertising and promotional programs without any consideration as to how they might stimulate positive word of mouth about their product. Marketers also spend thousands of dollars on market research on their products and services without considering elements that would accelerate positive word of mouth. • What do non-users ask users about your product? • What do users tell non-users (unsolicited or if asked)? • How do your customers persuade their friends to use your product? • What warnings do customers suggest to your prospects? • What do non-users need to know before they will consider making a purchase? • What do non-users need to know about your product, but are afraid to ask? 1. What message needs to be injected into the marketplace to turn the “word of mouth tide” in your favor? 2. How will those messages be delivered? Have a question? Word of mouth marketing relies on a technique as old as man-- the story. At the heart of a successful word of mouth campaign is a compelling story. People love a good story. They will tell their family a good story; they will tell their co-workers a good story; they will tell old friends a good story. Let’s face it everyday life can be boring, but when we hear a good story that is astonishing or amazing or unusual, we tend to pass it along. It is good for us and it is good for the person we tell. Unfortunately, marketers over the past 10 years have gotten “too sophisticated” for story telling. They are more interested in a catchy tag line or proclaiming that a high profile celebrity is interested in their product. The marketing landscape is littered with lots of traditional marketing “chatter”. • A really good product that has substantiated claims. • Kick-started by influentials (users) who will talk. • Supported by customers that are willing to talk about our product. • Featuring a direct, low risk way to try the product. • With a meaningful, relevant no-risk guarantee. • Recommended by real experts. Have a question?